This is a term used to describe the enormous data sets that can be collected and analyzed computationally to expose the underlying patterns of associations and trends in businesses, especially regarding human behavior and their consumption trends. It has been described as the oil of the 21st century, and its potential keeps expanding each day. The analysis of data reveals the day-to-day activities of businesses and organizations. When the data is analyzed professionally, it reveals critical trends and insights that are important in decision making and business projections. The significance of data insights depends mainly on factors such as data volume, variability, velocity, variety, and complexity. In fact, many businesses acknowledge that data insights and analytics play a significant role in the management of business processes. 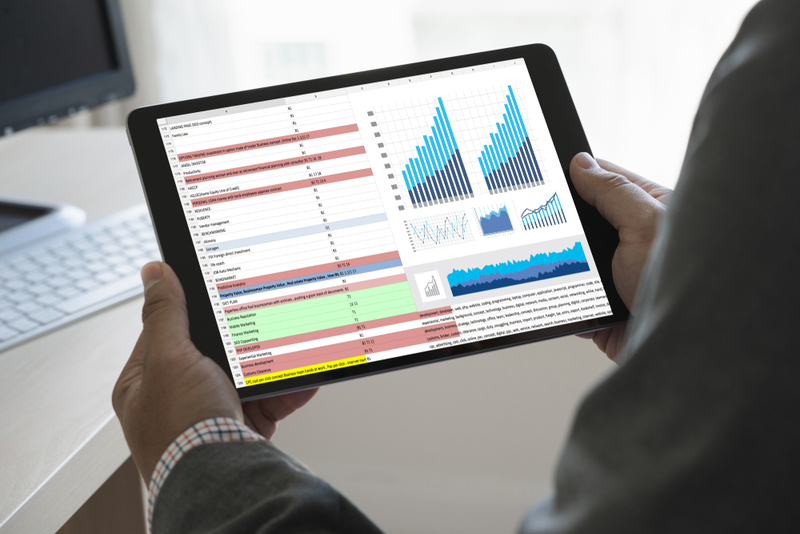 What are the 5 Uses of Data Analytics in the Management of Business Processes? Business processes include all the methods that feature a kind of input and output, and data insights have had an impact on the management of such processes in the recent past. Examples of business processes include customer service, employee recruitment, and product manufacturing among many other operations. Among the different resources that make up a business, the human resource matters the most, and the success of businesses significantly depends on its efficiency. Data insights and analysis has made it possible for many companies to identify, recruit, and promote talented employees. By focusing on the data of potential employees, the human resource department can design recruitment strategies that attract talent based on previous achievements of a prospective employee. An insight into the data collected by human resource departments help firms to process information related to employee absenteeism, training, error rates, work efficiency, and employee output per net income. Among the most important assets that a business has are its clients; without proper management of clients and without addressing their concerns, a business will most likely fail. Data has been crucial for many companies in determining how their customers feel about their products and services. Businesses employ a wide variety of data models to analyze the data collected concerning their customers. Such data allows businesses to have a glimpse into their customers’ preferences based on previous customer decisions and actions. The information acquired can be helpful in streamlining business products and services to achieve customer satisfaction and loyalty. Data insights about customers reveal information such as customer preference and customer behavior which in turn helps to shape the firm’s supply chain management, develop pricing policies that have excellent returns, and adopt superior customer categorization strategies. Evidently, such data is crucial since it allows businesses to get the best out of their clients. Over the years, many businesses have developed their products based on the data they collect concerning their existing products. Data insights are utilized by companies to analyze the potential market and predict future trends before developing new products or making changes to the existing products in the market. Some of the information and insights derived from the data and used in the product development include information related to pricing, product specifications, customer needs, and current competition. The collection of data that can be useful in the product development is obtained from sources such as marketing blogs, products associations, online customer reviews, customer surveys, and retailer catalogs. Many businesses that are engaging in manufacturing acknowledge that data insights are necessary for assessing the efficiency of their manufacturing processes. Data analytics and new technologies such as sensor technology are now being considered the primary determinants for the success of the Industrial Internet of Things (IIoT) on which the modern businesses focus. Data insights have helped manufacturers deal with the various challenges that they have faced over the years in the manufacturing processes. For instance, data insights have helped deal with the inefficiencies in the business process management as it has helped manufacturers minimize the costs incurred in testing their products before releasing them to the final consumer. The insights have also ensured that faults in the manufacturing process can be detected instantly without having to incur unnecessary losses. Data insights help to track inefficiencies in production chains, forecast future trends, mitigate risks, promote energy efficiencies, and assess supplier performance. In the manufacturing sector, wastes from the business processes account for a significant fraction of the business resources needed. The costs that manufacturing plants incur to manage their waste are mostly associated with expenditures on collection, transportation, disposal, and compensation as a result of environmental pollution. An insight into relevant data sets allows the manufacturers to come up with effective interventions that minimize the production of waste and identify cost-effective ways of waste management. Manufacturers benefit from the precision that comes with data insights to make informed decisions on waste management policies. Waste measurement is the underlying factor in waste management, and data insights provide businesses with the necessary information for decision-making. A review of the data also reveals insights about waste based on parameters such as waste sources, most significant sources and lowest sources, costs incurred in waste collection and disposal, the time taken in waste collection and disposal, and the efficiency of waste minimization strategies enacted by the manufacturer. To ensure that it benefits most from the insights gained, a firm has to decide on the kind of waste it needs to measure and the intervals of measurement. Afterwards, it must get a professional analysis of the data in order to identify future implications of the insights gained and formulate interventions that seek to minimize waste generation within its businesses.